Hobson Media Enterprises | Moving your audience to action! Hobson Media Enterprises | Powerful Communication Strategies! 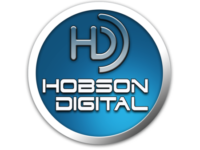 A partnership with Hobson Media is the first step in moving your audience to take action. We specialize in Communication Strategies that are engaging, intentional, creative, entertaining, and inspiring. We deliver powerful audience impact. The Hobson Digital Podcast Network has been growing in size, scope, and influence since early 2017. Home to a trio of podcasts – Fore Golfers Network, Big Impact, and Marriage Talk – Hobson Digital is at the forefront of podcast excellence. Every special event or retreat can benefit by having a Keynote Speaker or emcee who connects with the audience. Our Marketing Strategies help you filter through the “every” thing to help you get to the most “important” thing. Audiences don’t often give more than one chance. So HME will bring in our AV Production team to help you get it right. We turned to Hobson Media for help in improving our messaging to donors and prayer partners and they’ve done a fantastic job of taking my thoughts and vision and producing fantastic appeal letters, special concept campaigns, and more. Running a summer ministry is a year round job and we’re glad to have Hobson Media on our team to lead our communication efforts! Why are we so passionate about moving YOUR audience to action?